I often get questioned by women who want to look fab on a budget. How's free for a budget? Late last year I did a post on Swapdom. A site that offers round robin swapping at no cost (besides shipping) to you. It's almost like going to a big swap party, but everything is entirely done online. It you want to see how it works then check out my previous post here. 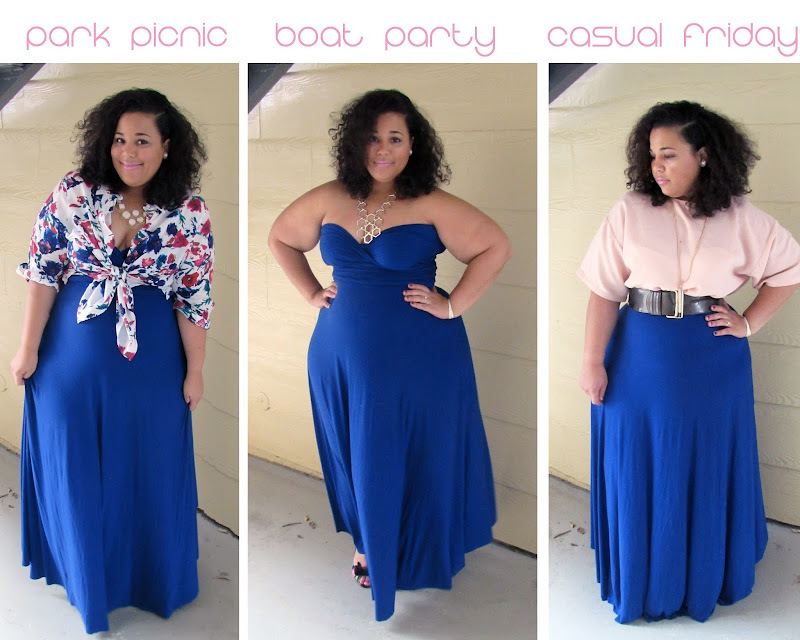 I actually got to swap out one of my dresses for this blue MonifC convertible dress. I was always curious about these, so this was the perfect opportunity for me get this dress and all I had to do is give up something in my closet. I also wanted to show how you can make an item from Swapdom easily work for you in multiple ways. Three looks, one dress and all for free...I'll take it! Believe it or not, I still have items available on Swapdom. You can see them here and here. I will also be adding these new items as well. See below. Sign up here to swap with me. This post is sponsored by Swapdom. Opinions are 100% my own. You look absolutely gorgeous in that blue dress! It's great that you took what I'd consider an occasion dress and showed how to make it more casual, and therefore, more wearable. I have two bridesmaids dresses that are a similar silhouette and fabric and also have a sweetheart neckline. One's knee length and the other full length, and I've been wondering if I'd get wear out of them for more everyday occasions. This definitely gives me some ideas! I've seen these dresses done a lot for bridesmaid dress. The fabric makes it really versatile. Blue is such a beautiful color on you!! But heck you always look great! i love how you make every outfit casual and dressed up! perfect! Hi Nicole... this belt came from Ann Taylor...I buy a lot of belts from Michael Kors in the xl. I hear you on the stretchy belt. Stretchy belts are okay every once in a while but they just don't provide that structure that you should get from a belt. 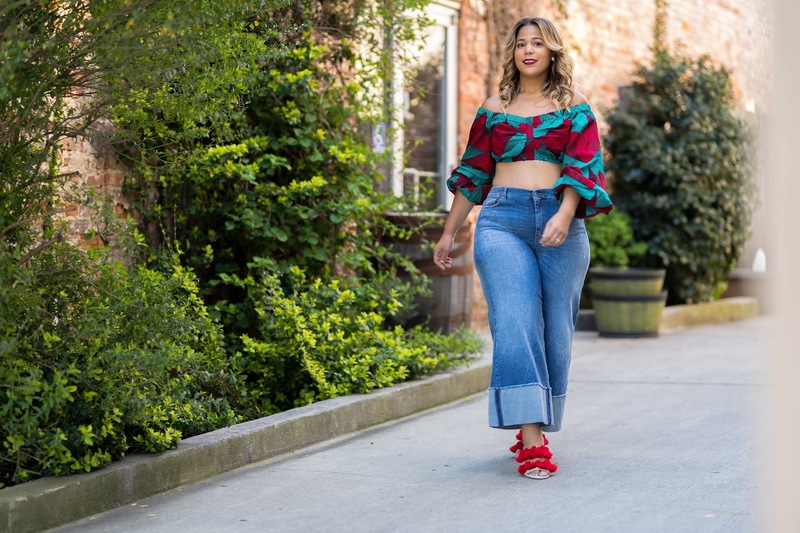 Hello, I just wanted to say I love your blog, I found it through Ms. Curvyfasionista. I have a question for you. What is your favourite shapewear? I am trying the bodycon look, stepping out of my confort zone here, and I want to be confident. Thank you and keep on posting please! Try Hookedupshapewear.com -- I love their shapwear. 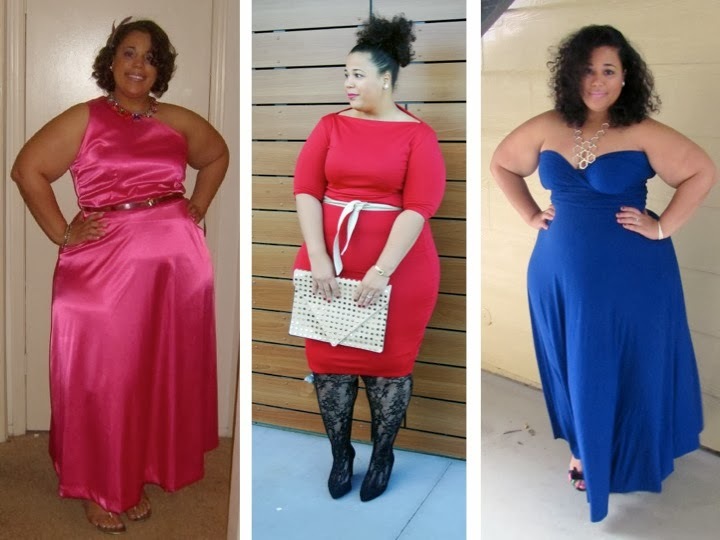 I love all 3 looks and you look amazing. 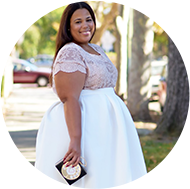 Your blog is fantastic and so much wardrobe inspiration! This is my first time on your blog page... You are AWESOME!